From carports and quonset hut kits to storage sheds and unique houses, purchasing a new building of some kind is always going to come with questions. With a metal building, one could easily find an option that would not only suit their needs, but surpass their expectations. Metal building kits are available in a wide variety of sizes and shapes, and can be used to meet an even larger number of needs. So of the benefits that metal buildings can provide could be surprising to people who are only familiar with the wooden and concrete alternatives. Composed primarily from steel, these prefabricated metal buildings are versatile, durable and very inexpensive. Putting up a traditional structure could end up costing a family a great deal more than steel building. If a couple or family is looking to put something up without having to spend too much, going with a steel arch building could be their best bet. 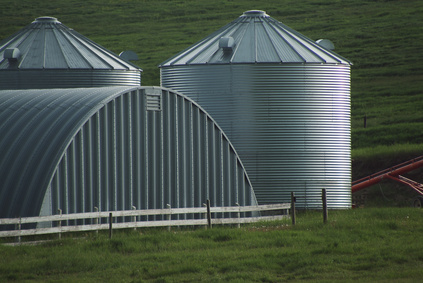 Unlike other structures, a metal building could be extreme easy to put up. Some kits may only require some simple tools. Instead of having to pay for a crew to come out and help, one could ask a few friends or family members to help put it all together. Not having to rely on the help of others could not only make things simpler, but it could also help to decrease the overall cost even further. Often times, the price of labor is included in with the total cost of other structures. Finally, a metal building could be used to help store a number of different things. People that own a boat can by a storage unit, so that it can be protected from the suns harmful UV rays. A metal building could also be used to protect the family car from extreme weather. After the Joplin, MO tornato of 2011, automotive damage ended up costing $1.4 billion in insurance claims. A metal building could also help prevent damage from hail, which is a good thing, since between 50 to 70 percent of hail damage claims to cars go unrepaired.